The 2015 Effie Germany Awards Gala event, which is organized by the GWA, took place at the Cultural House Palm Garden in Frankfurt on November 6. There were five Gold Effies awarded; Rügenwalder mill with the agency BrawandRieken in the category "New-New," Three Sixty Vodka and the Agency TRACK in the category "David vs. Goliath," the "Umparken in the head" campaign of Opel and Scholz & Friends in the "Comeback" category, and finally Hornbach and the Agency Home and Astra along with the agency Philipp und Keuntje each received a gold trophy in the Category "Evergreen." There were seven Silver Effies and ten Bronze Effies awarded as well. A jury of 22 marketing experts from companies, academia, and agencies around Germany ranked the submissions. "Against the background of digitization, we have brought about the biggest reform in Effie history this year. The new Effie acknowledges even more measures of success for modern marketing, and the winners show how effective communication solutions in the digital age look," explains Thomas Strerath, GWA board and jury chairman. Among the evening’s honored guests were the TV presenter Christine Henning, GWA Vice-President Dr. Michael Trautmann, the head of the department for business, sports, security, and fire for the city of Frankfurt Markus Frank. For the second time, Wirtschaftswoche honored important personalities in the advertising industry at the Effie Awards Germany Gala. Andreas Grabarz, founder of the agency Grabarz & Partner, was recorded in the "Hall of Fame of German Advertising." The speech in honor of Andreas Grabarz was given by Frank - Michael Schmidt, CEO of Scholz & Friends Group. The Wirtschaftswoche has issued the award annually since 2001. Since 1981 The GWA and the Effie Awards have honored effectiveness in marketing communications in Germany. 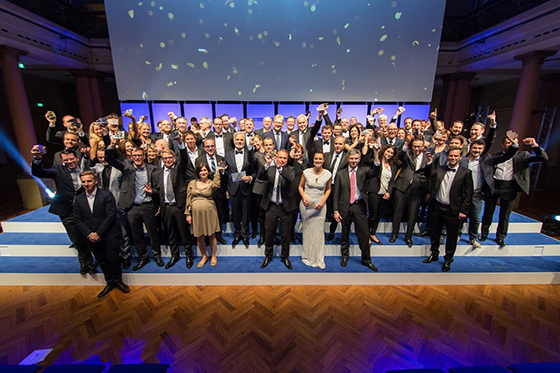 This year, Effie Germany experienced the biggest program reform in its history. A six-member commission chaired by GWA Board chairman Thomas Strerath added new award categories and expanded the program. The full list of winner can be found here.